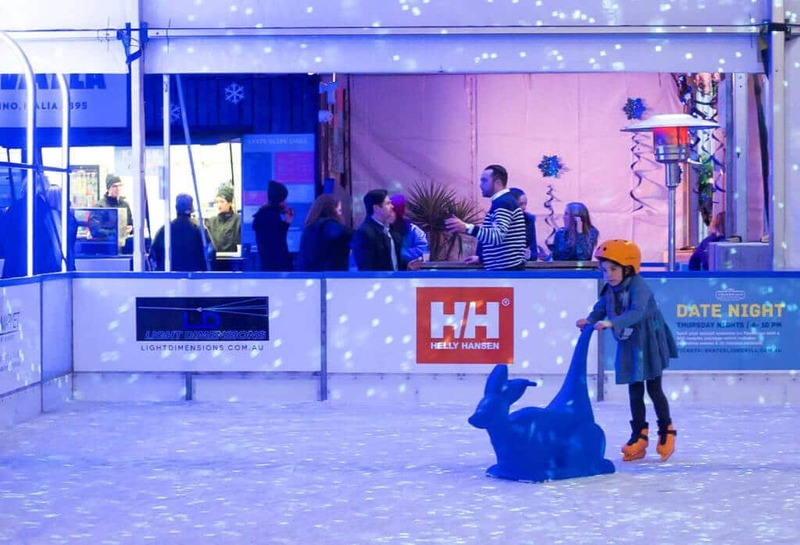 Make the most of Melbourne’s winter with Skate Slide Chill, a new pop-up ice skating and tobogganing winter wonderland at The Common Man South Wharf. 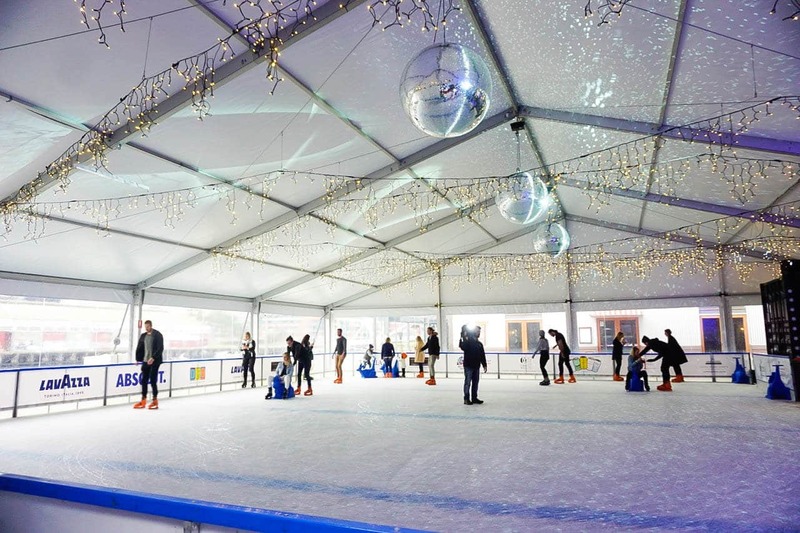 We are invited to the launch and have a great time trying out the whole Skate Slide Chill experience, starting with skating on the undercover ice rink, sliding down the toboggan slide and relaxing in the chill out zone with food and drinks from the kiosk. Each skate and slide session lasts for 45 minutes and begins on the hour, every hour. The session fee includes skate hire and if you’re a beginner they have little animals that you can use to balance on. If you’re not keen on skating yourself but still need to supervise a child under 5s then you grab some rubber shoe grips that allow you to walk safely on the ice rink in your shoes. Lifesaver! 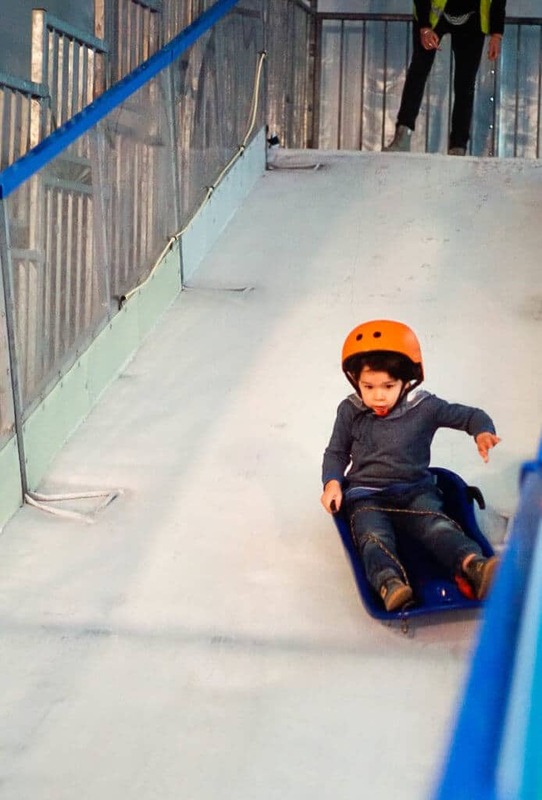 The toboggan slide is short and sharp. Beware it is faster than you expect – I witnessed quite a few crash landings! For refreshments the kiosk offers pies, sausage rolls, hot dogs and jam doughnuts as well as Absolut cocktails, mulled wine, Seppelt wines and Lavazza coffee. 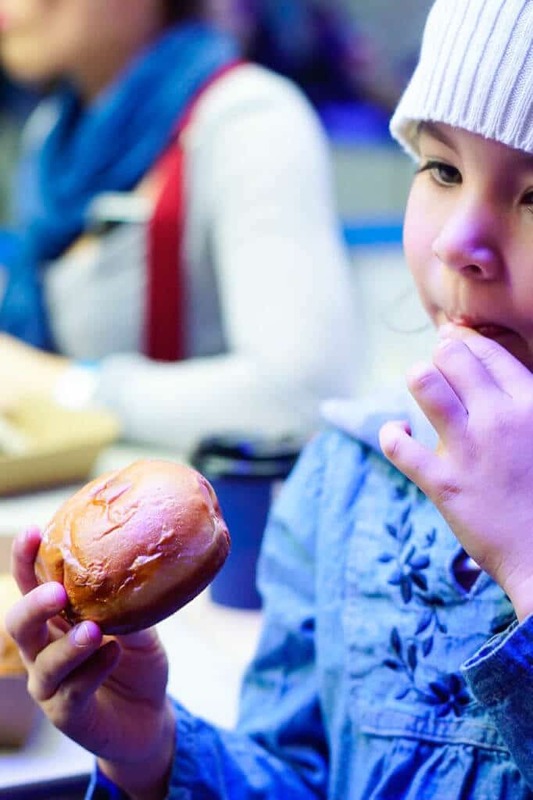 You can also book a table to dine at The Common Man restaurant or other South Wharf restaurants. 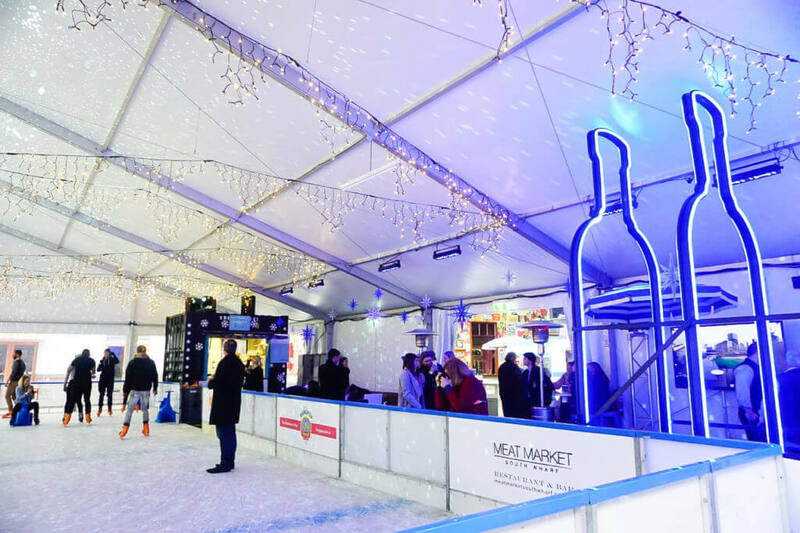 Restaurants are offering dinner and drink specials or you can add a $25 dinner voucher with a value of $30 when purchasing your skate session tickets.